The Barin Sky Resort is located near Shemshak, Iran. 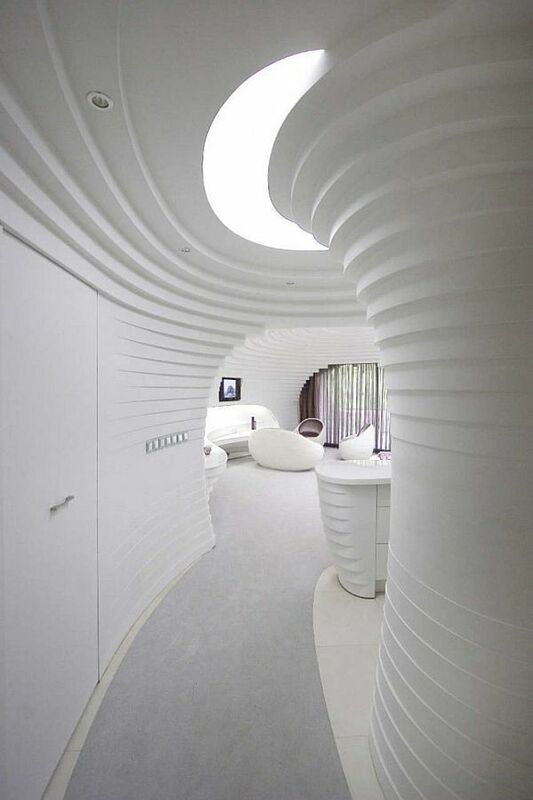 Designed by RYRA Studio, the resort aimed to be a unique dialogue between nature and architecture. 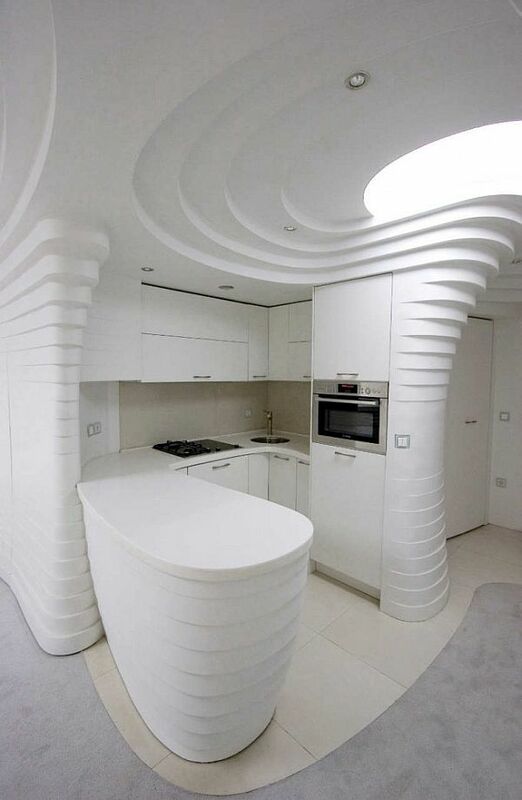 The inspiration came from the snow-covered landscape of the surroundings and the fluid lines of the mountains. 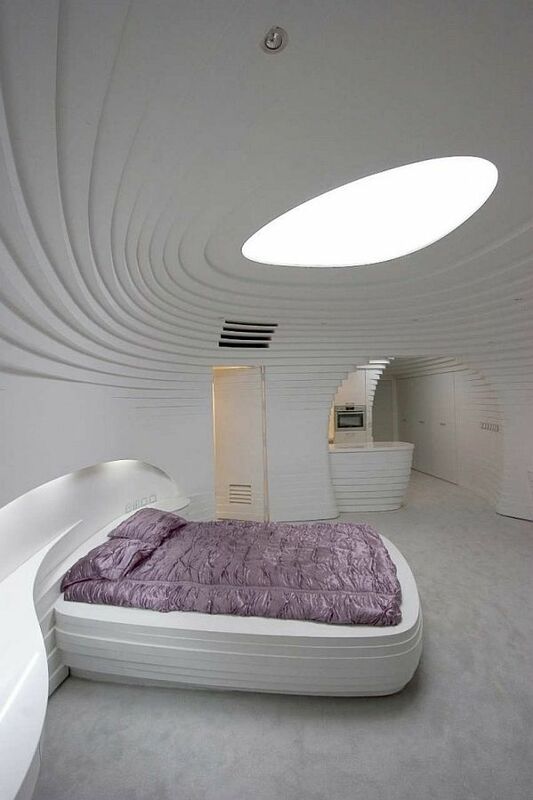 The Igloo-like structure features skylights for a naturally lit atmosphere. Every room of the resort conveys a sense of glacial design: the walls and custom furniture merge in a contemporary interior design. 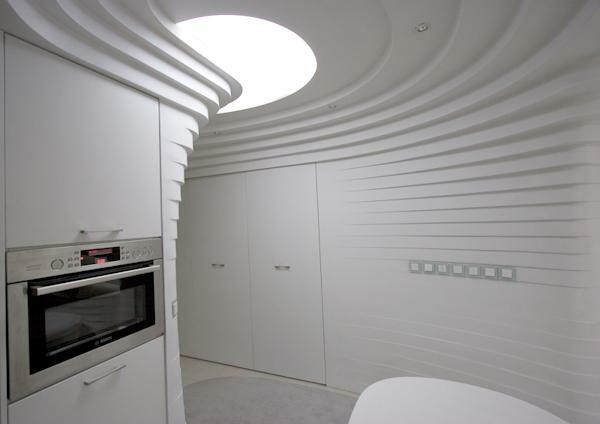 Undulating lines forming layers are accentuated by pure white walls and furnishings. Here and there, splashes of colour create a stylish interior design, continued on the outside with a beehive inspired facade. 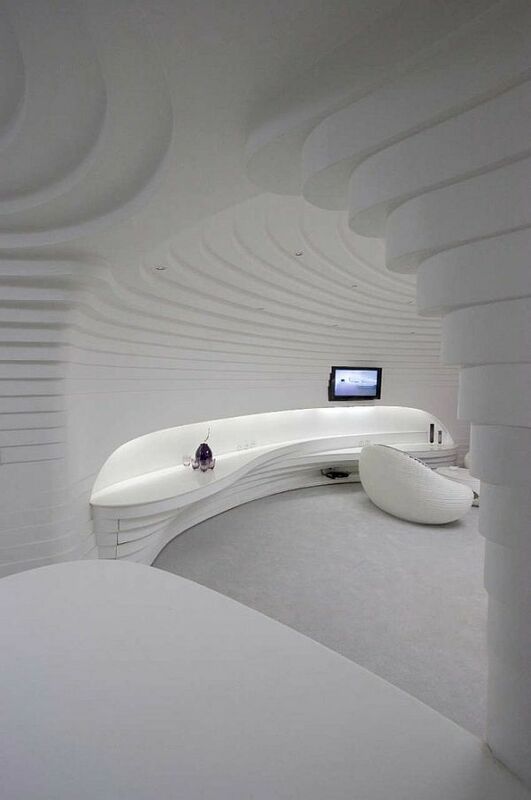 The dome-like structure of each room creates a stunning impression, while the layered walls remind skiers of the joy and fun waiting for them outside.